January 2019 marked the release of the 7th edition of Innovating Pedagogy, a series of annual reports on innovations in teaching, learning and assessment that is published by The Open University in collaboration with varying partner institutions. Like past editions, the report proposes ten trends that focus on innovation in pedagogy as a driver for educational change alongside new technology – download or read the summary on AACE Review. Each year, a group of researchers from The Open University works together with academics from a partner institution to compile the report by listing new educational terms, theories, and practices, and then selecting those with the potential to provoke major shifts. How does this futurology process work in detail, and has the process changed over time? What role do the research partners play? How does the team organize the collaborative writing process, and who curates the examples and resources that complement each section? Which concepts did not make this year’s list? I had the pleasure to talk to Dr. Rebecca Ferguson from the Institute of Educational Technology at The Open University (UK), and lead author of the report. What is your role in compiling the Innovating Pedagogy report and how does it fit into the overall process? Hi, Stefanie. I took over the role from Professor Mike Sharples, who had the original idea for the Innovating Pedagogy reports and who led the team who worked on the first five of them. Mike has retired now, but he is still very active in the process of producing and publicising the report. As lead author, I’m responsible for bringing a team of experts together at the beginning of the year, keeping them working well together throughout the year, and editing the different sections so that the report comes together as a whole. This year’s edition has 18 authors. How do you coordinate the work among all the collaborators, distributed across different institutions? The first reports were produced by a team at The Open University. That worked well, but it meant we were strongly focused on the UK, and we wanted to make sure that we were bringing in innovations from around the world. In 2015, we partnered with a team at the Center for Technology in Learning at SRI International in the USA. That brought in a range of new perspectives, so we decided to continue making new connections. For the fifth report we partnered with the Learning Sciences Lab at the National Institute of Education in Singapore, and for the sixth we teamed up with the Learning In a NetworKed Society (LINKS) Center in Israel. This year’s report was a joint endeavor with the Centre for the Science of Learning & Technology (SLATE) in Bergen, Norway. We start by drawing up a list of pedagogies, collecting resources and ideas related to them, and discussing them online. We narrow the ideas down to twelve by voting – then different people produce an abstract for those twelve. At that point, we swap around and revise or rewrite the abstract for a different one. At that point, it’s usually clear which ten we’ll go ahead with – there are usually a couple that turn out to be too similar to others, or which don’t stand up to scrutiny. One or two people take on the task of writing each section, and after that there’s an option to revise different sections. In some cases, an individual takes an idea from first suggestion to final section, but it’s more usual for lots of people to be involved in writing about each pedagogy. Do you see the editorial process behind ‘Innovating Pedagogy’ as a tried and true format, or are you experimenting and evolving with each edition? We keep to broadly the same structure, because we’ve found it works well. However, each year we extend the things we take into account while writing. One of the things academics often find difficult to do is to write accessibly without using overly technical vocabulary. I encourage authors to run their writing through a free tool that indicates how much formal education you’d need to have completed to read that text. If you’d need to have a bigger vocabulary than an undergraduate student, then it definitely needs a rewrite! We’re also thinking more these days about the things that can go wrong, and how they could be avoided, and about how you’d go about putting these pedagogies into practice. Does the authoring team ever meet in person? I’d worked with SLATE researchers in the past, as had some of the other report authors, so several of us had met face to face even though the OU is in the UK and SLATE is in Norway. However, collaboration on the report was all done online. We began with a Skype meeting in the spring, and after that we linked up via email and Google Docs. Many of the authors at The Open University (OU) work together in the Institute of Educational Technology, but not all of us. This year, we brought in other authors who had relevant expertise in subjects including Virtual Studios and Decolonising Learning. Garron Hillaire, who moved from the OU to MIT during the last year, has a strong family connection with work on decolonising learning. His family started the Native American Studies program at Evergreen State College in the USA, and his aunt has a National Endowment for the Arts fellowship for her work on continuing the heritage of Washington’s Lummi Nation. It was great to be able to bring that depth of experience to the report. Who curates the examples and resources that complement each section? Lots of people work on each section. Someone drafts and abstract; another person makes revisions. One or two people write a section, others check it and make changes, then I change it again in the editing process. Examples and resources are added at each stage. One of the real challenges we have is to link to resources that all our readers will be able to access. Often we want to link to something but it’s behind a paywall, or it’s in an expensive book. In some cases, we encourage authors to make their work openly accessible online so that we can link to it. For example, this year we really wanted to link to Matthew McFall’s work, which was the inspiration for our section on Learning through Wonder. He agreed to put it online, which means many more people will now be able to see it. Do you already know which institution will be the collaborator for the 2020 report? I know who I’d like it to be, but nothing is finalised yet. I am curious about what is not in the report: What are some of the trends that came close, but did not make the cut this year? There’s a long list of pedagogies that were proposed, but didn’t make it to the final ten: outdoor learning / forest schools, creativity within constraint, slow education, eSport, and library innovation are just a few of them. One that came very close this year was related to engagement with ethics and privacy – but we decided in the end that this was a theme or a concern rather than a pedagogy. One I’ll be lobbying for hard in the coming year is Reacting to the Past, which seeks to draw students into the past, promote engagement with big ideas, and improve intellectual and academic skills. How does the report influence your own work and priorities? Do you have personal favorites from the 2019 edition? One of the things I enjoy doing is investigating a pedagogy in depth and exploring what the possibilities are. My personal favorite was one in the 2016 report: Learning through Social Media. It focused on long-term online projects including Pepys’ Diary, @RealTimeWorldWarII, and many of NASA’s online initiatives. The educators on all these initiatives manage learning spaces with multiple entrance and exit points. They often do this on a voluntary basis, with no funding behind them. They attract people to stay and learn, sometimes to engage for years, even though there’s no compulsion to do so. That really got me thinking about ways in which the role of teacher can change radically, and that has influenced a lot of my subsequent work on the roles of educators in different situations. What are some trends from past editions that you are still excited about, and are there any that faded away in your opinion? I do a lot of work in the area of MOOCs, so I was pleased that we picked up on MOOCs early in 2012, just before all the big hype. Unusually, we picked up on MOOCs again the following year – we’ve only done that with a couple of pedagogies. The media circus has moved on, but I’ve seen fantastic work being done in some of these courses and I’m still excited about what the future could hold. One of the pedagogies that we don’t hear as much about as we expected is rhizomatic learning. That might be because people read it and can’t pronounce it, or aren’t sure what ‘rhizomatic’ means, so they tend to forget about it. It’s a pedagogy that links to developing problem-solving skills in complex domains. Has the Innovating Pedagogy report become more canonical within the educational technology community since the end of the Horizon project? I haven’t been following progress on the Horizon project carefully, but my impression was that EDUCAUSE is going to take the reports forward. I certainly hope so. I don’t know if we’d want Innovating Pedagogy to become ‘canonical’ if that suggests laying down the law about what will happen. Educators around the world are always having good ideas about how to develop teaching and learning further, I see our role as amplifying the best ideas that we encounter, explaining why they work, and how they can be put into practice. How many people have downloaded the report so far, and what are some of the reactions you have received? I think we’ve had about 5,000 downloads of the new report so far. It’s been great to hear from people volunteering to extend its reach by translating it into different languages: Chinese, Korean, Spanish, Portuguese, and Turkish. If you could picture your ideal reader, what would you like people to do after combing through the material? I’d like people to feel inspired to try one or more of the pedagogies in their own practice. They won’t necessarily have the resources to use drones or robots, but playful learning or learning through wonder are pedagogies you can try out right away. And I’d like to see people using decolonising learning as a prompt to consider new perspectives and to think carefully about the knowledge they value. 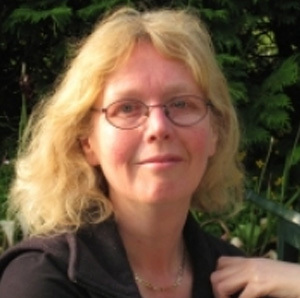 Dr. Rebecca Ferguson is a senior lecturer in the Institute of Educational Technology (IET) at The Open University in the UK, and a senior fellow of the Higher Education Academy. Her primary research interests are educational futures and how people learn together online. Rebecca is an executive member of the Society for Learning Analytics Research (SoLAR) and a leading member of the international learning analytics community. Her work has been influential in shaping the field, supporting implementation across Europe, and promoting a focus on social learning analytics. Rebecca has been a pedagogic adviser to the FutureLearn MOOC platform since its foundation, supporting its development of conversational learning. Her extensive experience of MOOC development and evaluation provides a firm basis for her research on learning at scale. A great article and I think the Innovating Pedagogy reports are excellent! Keep up the good work guys! Great work indeed. Looking forward to reading about the theories. Congratulations Dr Rebbecca. I am highly impressed with your profile. I need to be mentored by people like you.